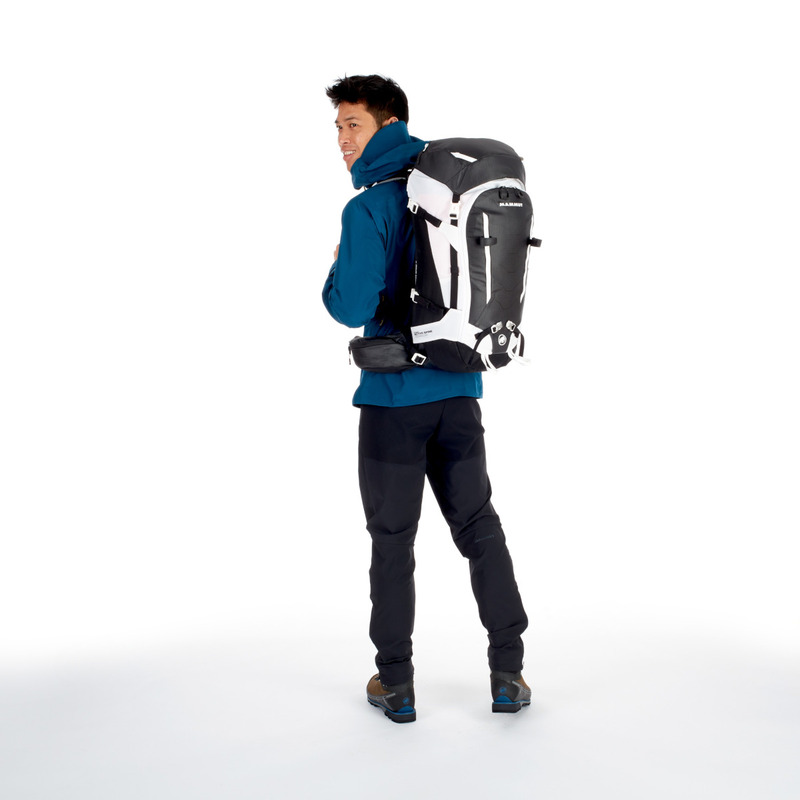 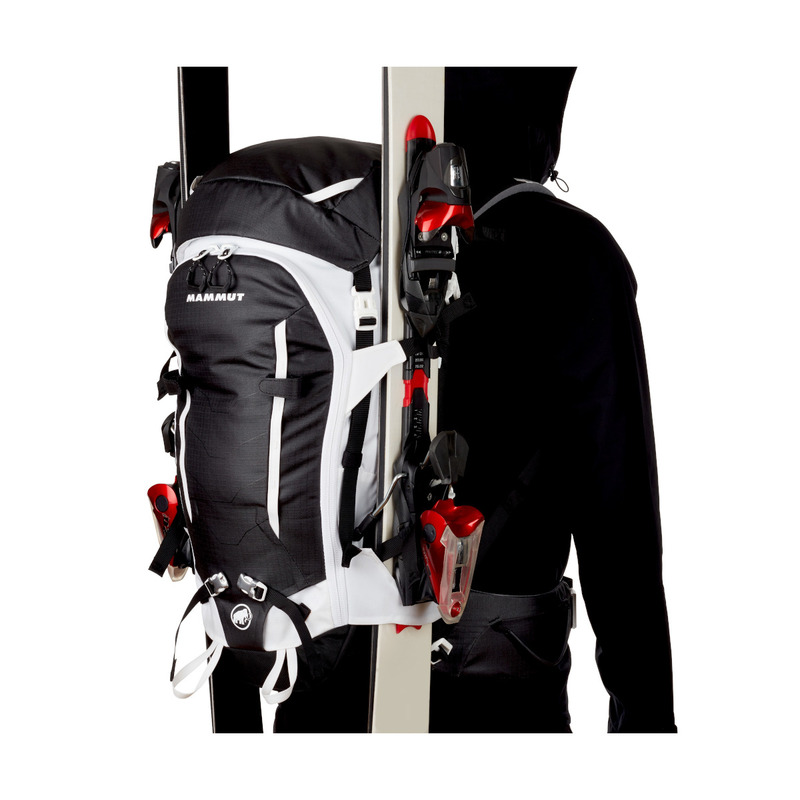 The Trion Spine 35 is a fully adjustable Alpine pack with Mammut's Active Spine Technology suspension system that allows greater freedom of movement at the shoulders and hips, giving a more natural gait. 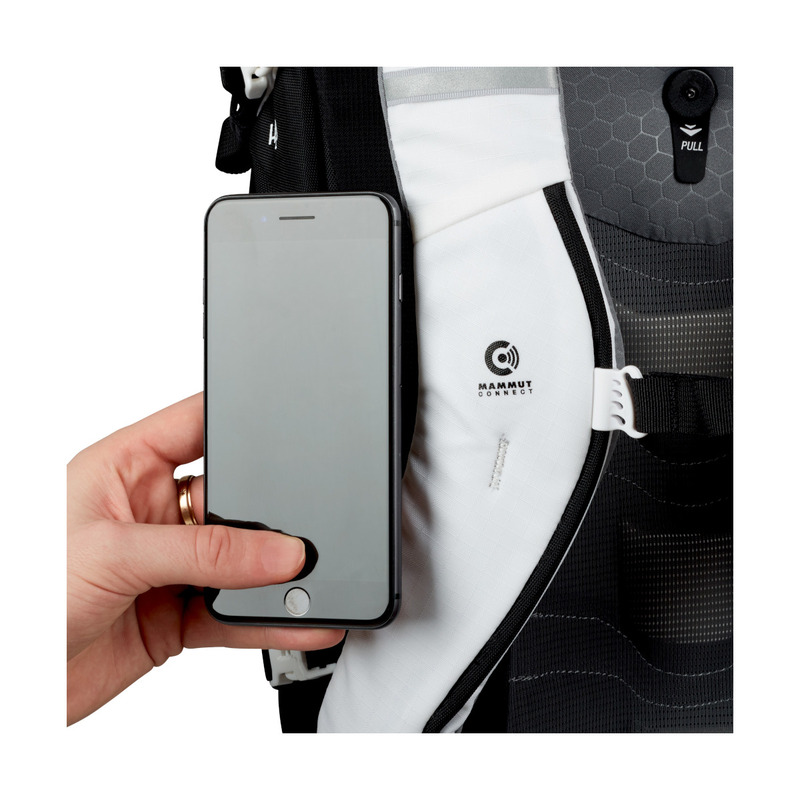 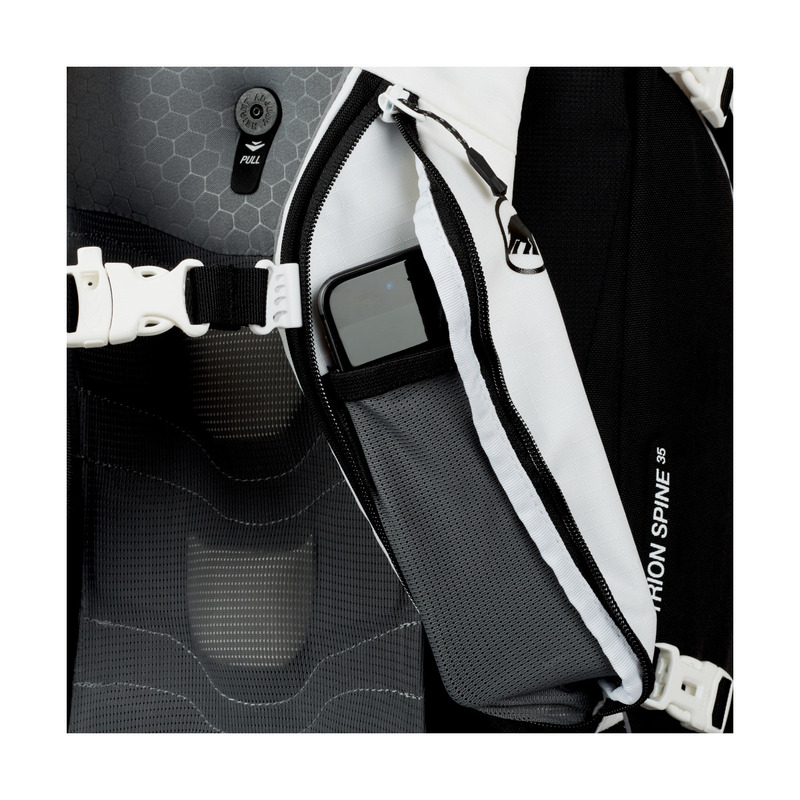 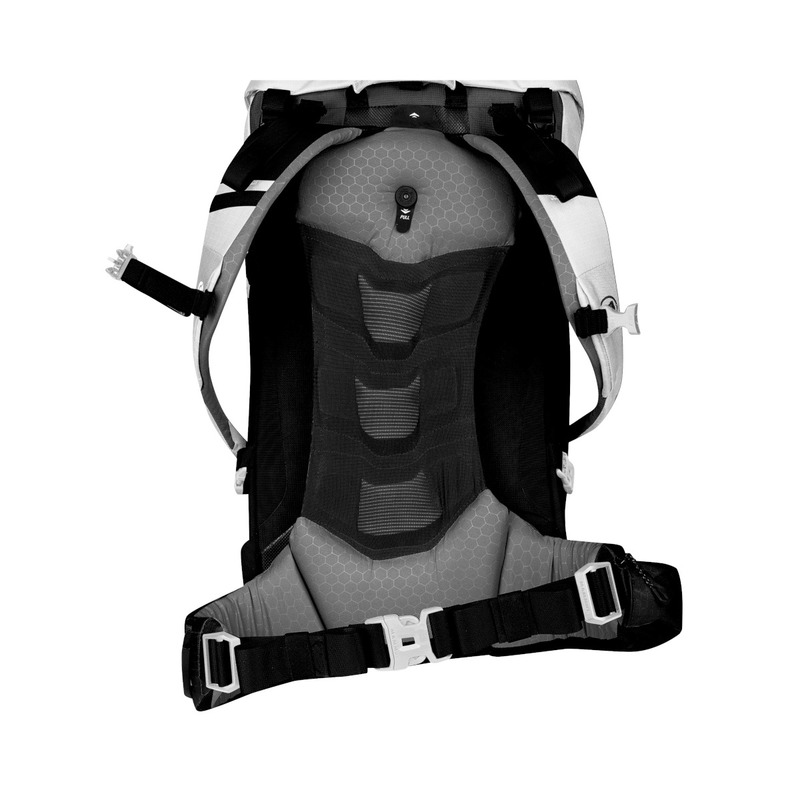 The hip belt and shoulder straps are constructed of high-density, 2-layer EVA back padding with stretch fabric cover that ensures comfort and optimal load transfer during all walking movements, even when fully loaded. 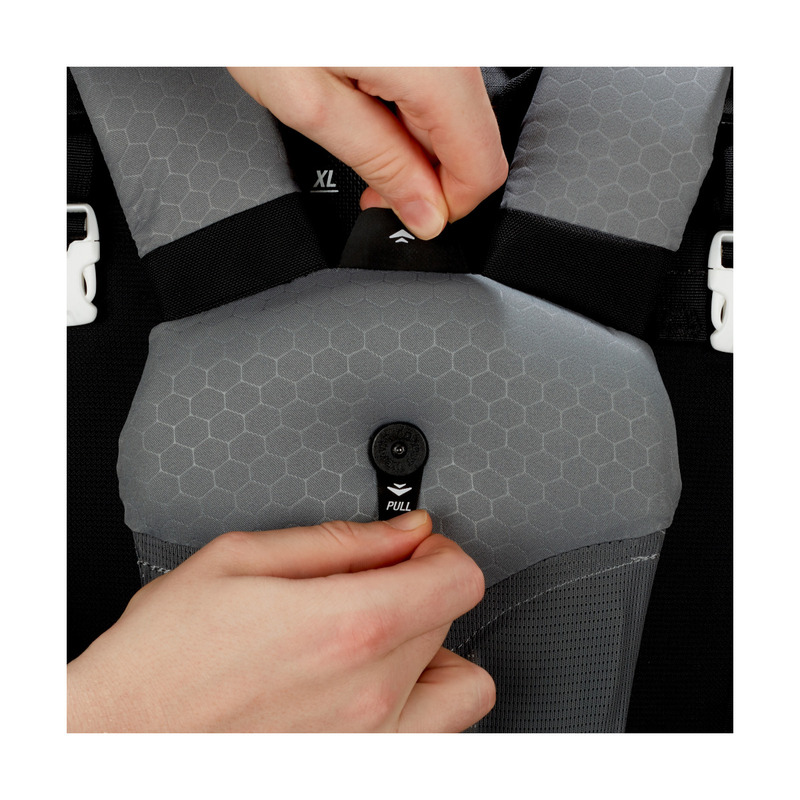 The back features an integrated height adjustment system that can be adjusted with a simple movement. 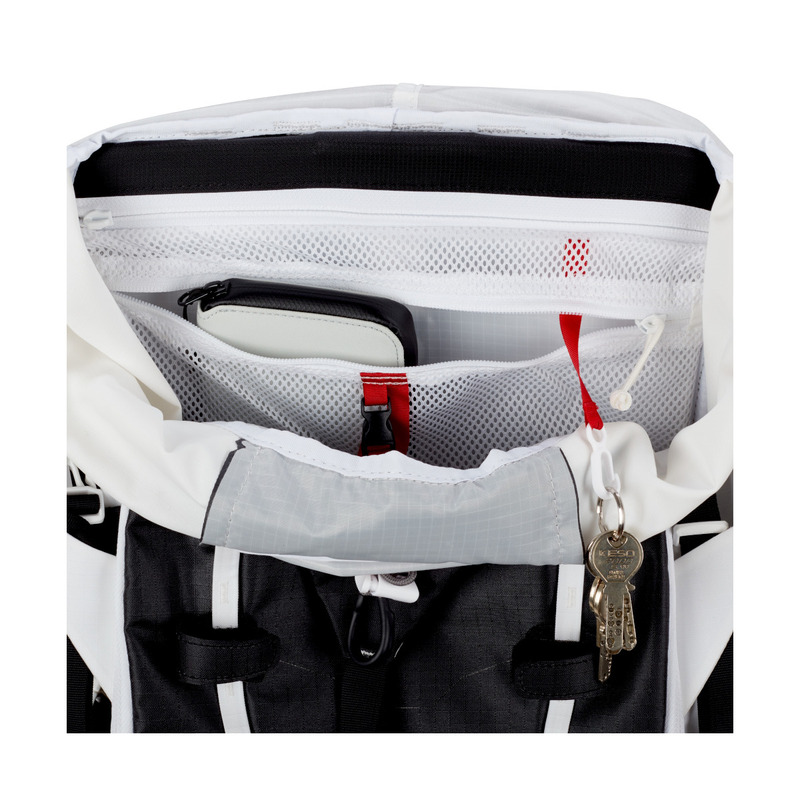 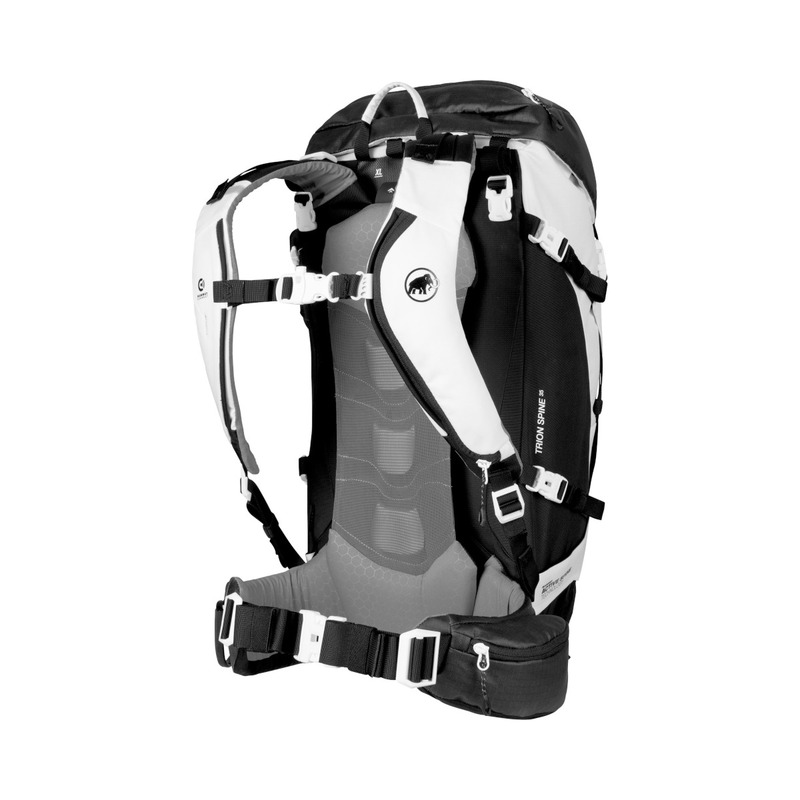 It has a capacity of 35 litres and is easy to load and unload through the huge front zipper access to main compartment. 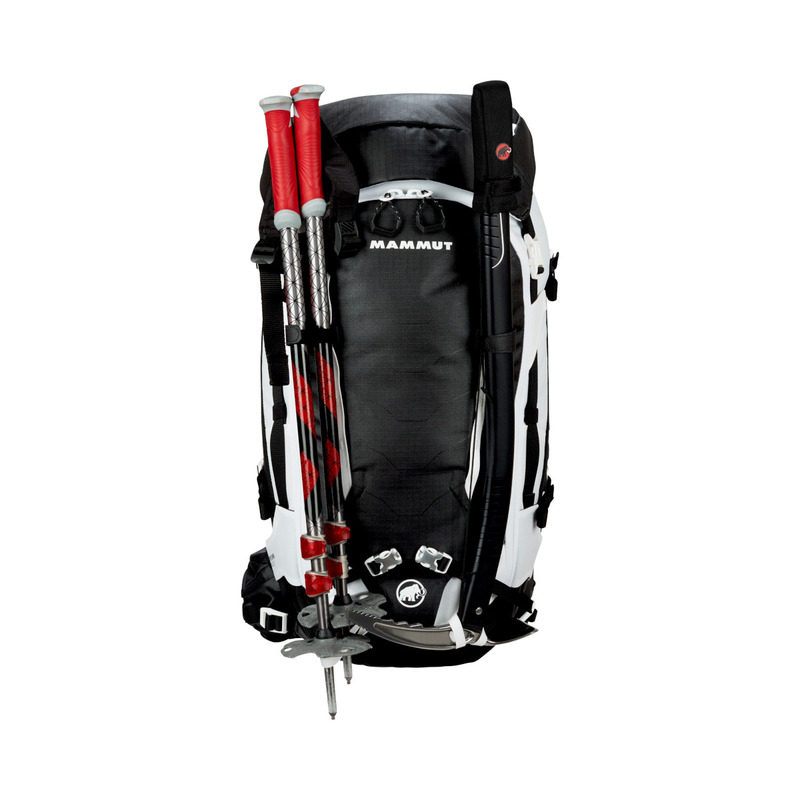 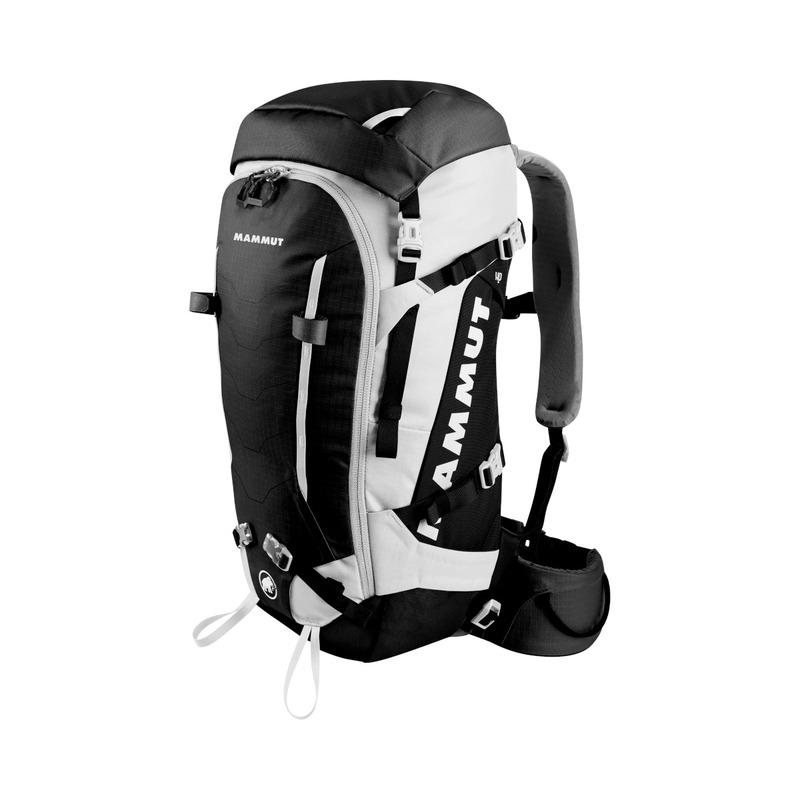 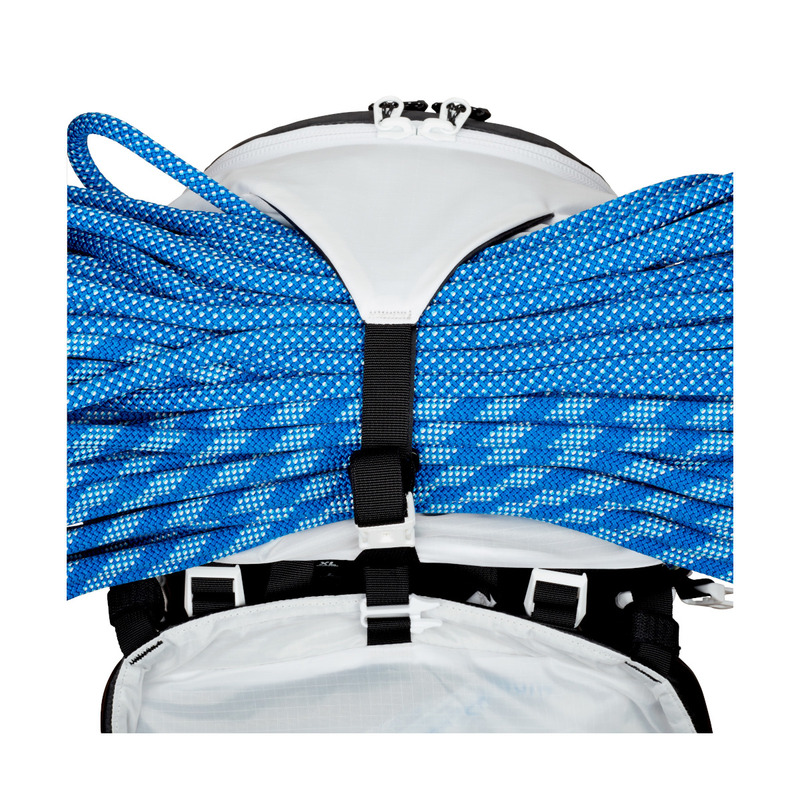 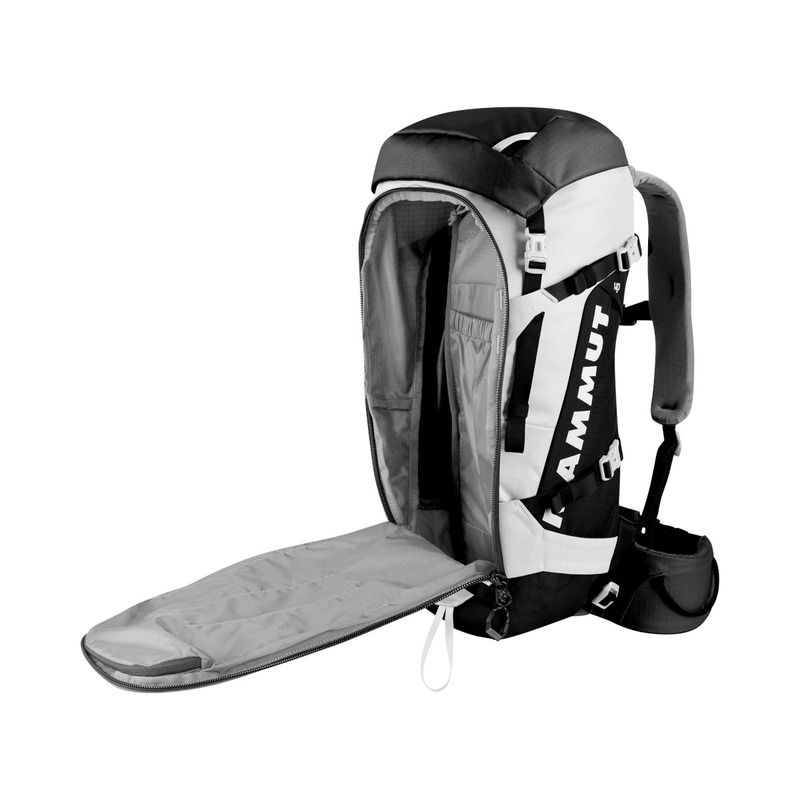 It has a range of neat features including; large internal pocket in the front opening, height adjustable top with internal and external pocket, internal zipper compartment for valuables, reinforced side ski attachment, gear loop and zip pocket on the hip belt, 2 strong ice axe attachments and trekking pole carrier, a strap for fixing a rope under the top, lateral compression straps, daisy chain loop, a large pocket on the shoulder strap for a phone or GPS unit and it is hydration system-compatible.